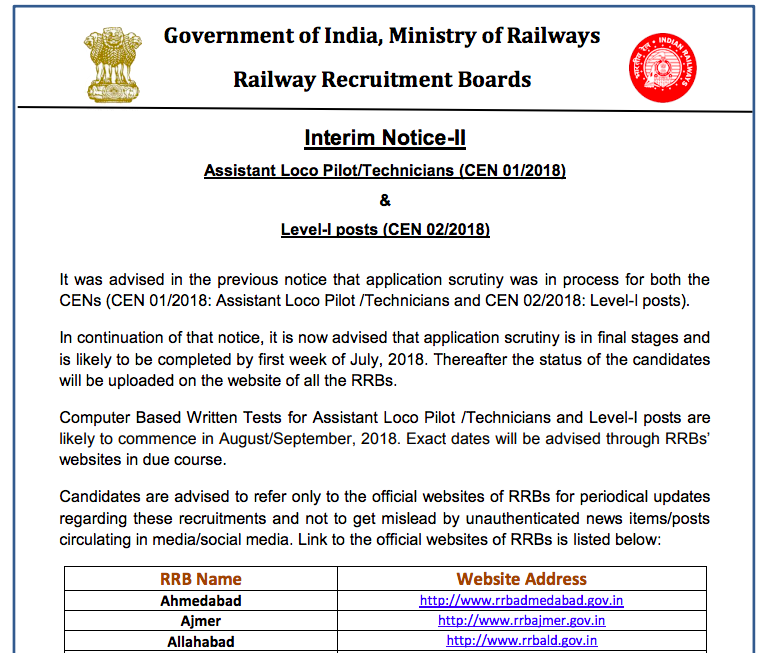 It was advised in the previous notice that application scrutiny was in process for both the CENs (CEN 01/2018: Assistant Loco Pilot /Technicians and CEN 02/2018: Level-I posts). In continuation of that notice, it is now advised that application scrutiny is in final stages and is likely to be completed by first week of July, 2018. Thereafter the status of the candidates will be uploaded on the website of all the RRBs. 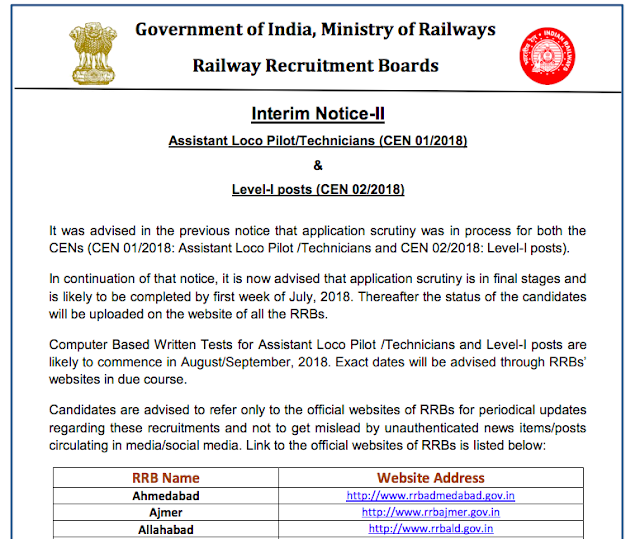 Computer Based Written Tests for Assistant Loco Pilot /Technicians and Level-I posts are likely to commence in August/September, 2018. Exact dates will be advised through RRBs’ websites in due course. Candidates are advised to refer only to the official websites of RRBs for periodical updates regarding these recruitments and not to get mislead by unauthenticated news items/posts circulating in media/social media. Note: Use Discount Coupon Code "CGL2018" to Get 50% Discount.